On the weekend of December 16th, more than 50 business women across the midwest gathered for the #GlowUp hosted by Queens Brunch. We provided actionable workshops and events that armed each attendee with the tools, insights, and strategies needed to up-skill and negotiate in the world of business. Workshops include a Scrum Master certification course, Digital Branding workshop, and a brunch experience focused on Negotiation skills. We brought the best instructors, great food, and an experience unique to the Queens community. Queens Brunch partnered with Atkco, Inc and Clique Studios to bring this event series sparking career conversations specific to women. Check out photos and recaps below. Sabrina King is a Human Resources executive who loves helping companies build purpose-driven workplaces where people can realize their whole selves. She has helped two companies be recognized as a top workplace. She finds particular joy in being a sounding board and development coach to people who are engaged and energized by pursuing continued career success across all stages of work life. Regina Atkins is Senior Counsel at Baxter International. Regina has been an attorney for over 20 years and has led global negotiations for Fortune 500 companies. She is an avid collector and supporter of African-American visual art and advocate for nurturing future African-American leaders by strengthening young people through leadership development. Ashanti Johnson is a mental fitness and lifestyle expert as the Chief Visionary Officer at 360.Mind.Body.Soul. Originally from LA, Ashanti Johnson struggled with her weight until she decided to make a change that turned into her dream job. She founded 360.Mind.Body.Soul, that focuses on encouraging women & men on their wellness journey. 360 has helped hundreds of clients lose over 20,000pounds in 7 years. Chrishon Lampley is a negociant, wine enthusiast, and founder of LCS Entertainment, LLC that includes Love Cork Screw Wines. The LCS Brand has acquired 50 locations. We’ve personally seen the brand at Mariano's, Target , Whole Foods Market, and other Chicagoland area stores, restaurants, and bars including Vice District Brewing. Shayna Atkins is a founder, product manager, and Agile coach with a passion for utilizing process methodology and strategic planning to deliver high quality software. A product development geek, Shayna Atkins has managed and coached large scale IT transformations for 7 years. Kimmah Shah is a Senior Marketing Manager well known for being a jack-of-all-trades and a master of plenty. She has successfully led marketing teams from small start-ups to multi-million dollar organizations in implementing marketing strategies, engaging content, and high-value customer acquisition programs. Queens Brunch is a community for the woman in business. 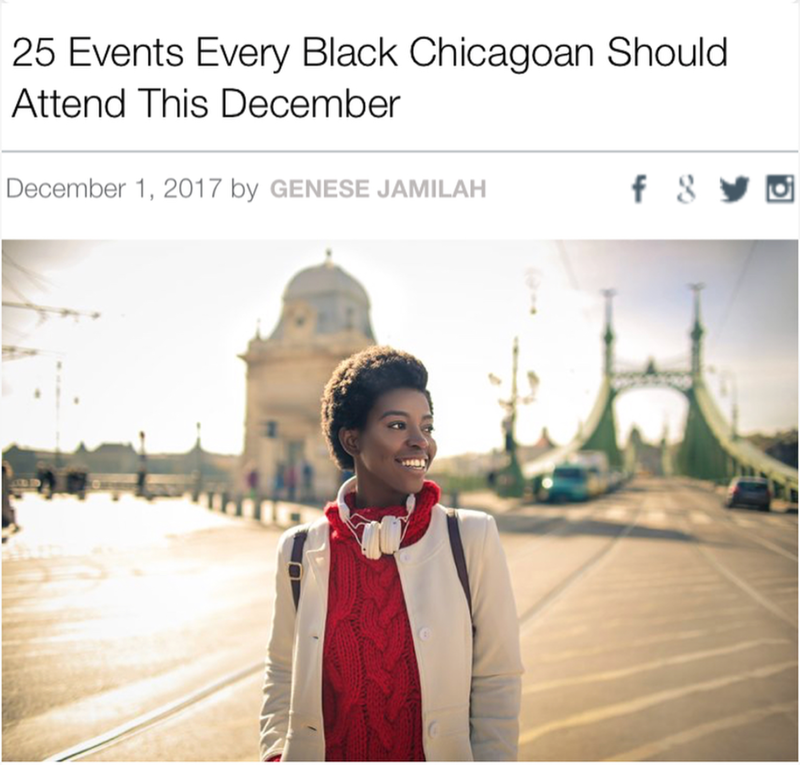 It is a gathering of women across all stages of life and a movement to support local businesses owned by people of color, women, or other self-identified minority groups. Queens was started as an event series to connect women from different backgrounds with a leader who has seen it all and done the rest. The mission is to connect like-minded women, share resources, and advance business endeavors. All Queens Brunch events & workshops are curated with love using design thinking. Any questions? Email info@queensbrunch.com with questions. Clique Studios is an award-winning digital agency offering strategy, design, engineering, and marketing for high-growth organizations. We specialize in crafting digital experiences in the industries where it makes the most impact: education, healthcare, startups, and non-profits. From day one, we've had the mindset of Growth Through Quality. That means we invest our time in making things, and hope the quality of what we make (and the relationships we build along the way) will lead to our growth, rather than fundraising or sales strategies. This mindset has helped us grow organically every year for ten years straight. Atkco, Inc. is a Lean-Agile product management and coaching company providing advisory, certification training, and course kits for Agile skills development. Agile is in the DNA of what we do. Atkco, Inc. is led by scaled Agile program consultants, experienced lean professionals, and product development geeks passionate about products customers love.